What's Going On And What Do They Need? The angry child has good reasons for how they feel. When you discover those reasons, you're on the road to helping them be the good kid you know they really are. Anger develops in the subconscious mind, meaning no child makes a conscious decision to be angry. A child is not bad just because s/he's angry. Your job as the concerned adult is to understand the underlying causes of the child anger management problems, and begin resolving them. You'll find the tools you need right here on this page, and on this site as a whole. You're reading this because you're a smart, concerned parent, teacher or caregiver, and you want to help. Now let's dive right in and get to what matters most to help your child. What's Going On With This Angry Child? There are a lot of things that can cause problems with anger management for children, and we're going to give an overview of those causes. Stay optimistic and confident as you read this, and remind yourself that you have what it takes to help. Their basic needs are not being met, and/or have been neglected in the past. This is extremely important. Learn more about basic needs here, and follow the guidelines there to get started helping your child. There is or has been some kind of abuse and/or abandonment. The pain from this creates tremendous self doubt, confusion and anxiety. Anger is the "fight back" emotion, and it has more power than the others, so children often default to anger for protection. Anger is, in fact, a protective emotion. Poor role modeling in the present or past can certainly explain the problems of an angry child. 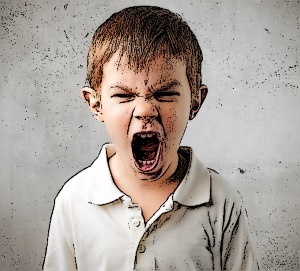 When parents or primary caregivers display inappropriate anger on a consistent basis in the presence of children, many children will follow that example. Parents who are afraid of their child's anger give the wrong message to the child. The child learns that anger is an effective way to get what they want, and it actually gives the child power over adults. Be aware that children will take the power you give them, even if it's too much for them to handle. And it's not their fault. This understanding will hopefully give you empathy for the angry child, and help you not to fear or reject them. Without understanding and empathy, you will not be able to form a connection with the child, and without a connection your efforts at discipline will fail. So, you can see how important empathy is. What Does The Angry Child Need? First, it's important that you accept that the child needs something from you, and you have what they need. They need you to accept their emotion of anger as natural. You do this by letting them know, "How you feel is always okay. The important thing is what you do when you feel that way. It's okay for you to be angry, now let's figure out some good ways for you to express it." The angry child needs appropriate, firm limits and consistent consequences for their behavior, good and bad. This lets them know where they stand, and gives them a sense of safety and security in their relationship with you. In other words, you have to be the boss. You must be able and willing to show love to your child on a consistent basis, especially while they're angry. Our information on child anger management will give you a lot of guidance and tips on that. When your child feels loved by you, s/he will be much more likely to comply with your wishes and go by your guidelines. 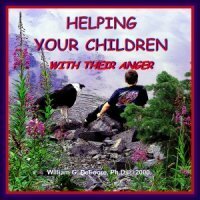 With the added resources in the links provided, you should have everything you need here to deal with the child anger management issues in your life. If you want more useful information, this excellent AskDrSears.com article will give you some good suggestions and insight. Now, just believe in yourself, and take the next best step, and keep going until you see that smiling face on that child most of the time!